THE WAY HE LOOKS AT HER HAS TO BE CAPTURED, PRINTED AND FRAMED. My favorite moment at a wedding is when the bride is walking towards the groom and everyone is looking at her. The coolest part when all this is happening is the guy’s look. The way the soon to be husband looks at his lady is simply one of the most beautiful things you can admire at a wedding. Every single San Francisco wedding photographer knows this specific moment, and not only. I find the look on the groom’s face, really magical because it happens only once in a whole lifetime. A really good photographer has to have the talent and skills to capture the right picture at the right moment. Such moments as I described are precious today and surely they will be even more precious tomorrow. So having a wedding photograph that portrays such a unique flash, is absolutely heartwarming. Just imagine in years the passion that was once up to high points in the life of a new husband and wife, may just go down. And then the old lady finds this photograph, of her man all dressed up, looking at her with so much love and affection. 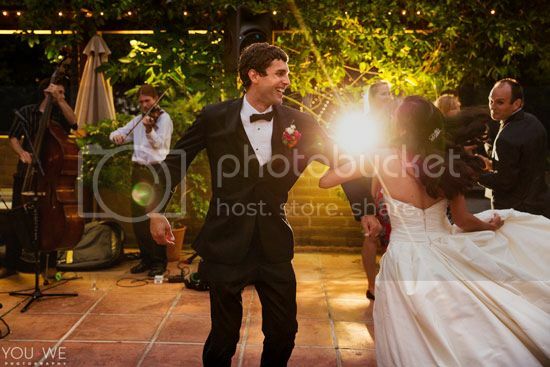 One photograph has the power to bring you back a whole event, like the wedding. That specific photo of the hubby looking at his bride may bring back a bunch of emotions, which are absolutely needed in one’s relationship. Some wedding photographs show moments that are at the first view unimportant but when looking from a different angle you can find details that are so close to the soul of those who get married. It is about the looks and expressions people show when they say vows and decide to live for the rest of their lives together. Immortalizing a tiny nonce and transforming it into a beautiful picture, is worth time and a little work. It may seem that photographing is just pushing buttons and choosing angles, but it is not like this. The perfect timing and the awesome sense of observation, make romantic wedding photographs exist. The way he looks at her has to be captured, printed and framed. The once in a lifetime event needs to be celebrated and frozen in a wedding photo album. Because the only things you will truly own are your memories and especially the memory of the way he looked at you.